Before you leave for the summer vacation or dash off to Paris, Frank Kessler and I would like to invite you for the international conference “A Million Pictures – History, Archiving and Creative Re-Use of educational Magic Lantern Slides” that will take place at Utrecht from 29 August – 1 September 2017. We expect around 100 participants from at least 14 countries: researchers from various disciplines, curators, archivists, artists and museum staff. If you have a day to help: please let us know. Hope to see you in Utrecht in August! But first, of course, enjoy the summer break. 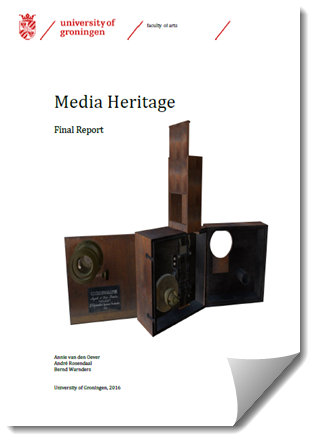 You are warmly invited to attend the NEMA workshop on Experimental Media Archaeology in Paris on June 28 and to contribute to the discussion and presentations during the workshop. You are welcome to do so in any way you deem relevant. If you want to be lined up for a presentation during the workshop, please contact Andreas Fickers or Annie van den Oever. Full texts are attached on the workshop as well as on the panel presentation with John Ellis, on July 1, 2017. 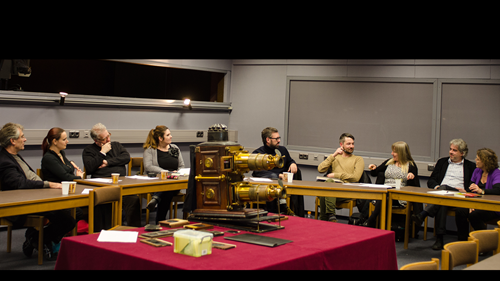 During our meeting in the Science Museum in London, February 2016, we announced to plan a new meeting for the Network of Experimental Media Archaeology, to discuss ongoing projects, and to assess opportunities to join forces w/r/t/ new joint projects and project / book proposals, and joint conference and research applications. Andreas Fickers (cc) and I are planning our next NEMA meeting in Paris for the end of June, during the Pre-Conference of NECS (June 27th-28th). Please keep these dates: we will inform you asap of the exact date, place and time of the meeting. Please note that the Pre-Conference will be well visited ad will be followed by the NECS Conference (June 29th - July 1st 2017), which will be attended by hundreds of film and media scholars from all over Europe. You are definitely welcome. Please also note that the deadline for handing in panel and paper proposals is still open. All information on the NECS Conference and Pre-Conference you will find at necs.org - You will have to move fast. p.s. If you want your workshop / panel to take place during the NECS Conference, it will have to last 1hr and 45 min, because it will take place at Paris 3 during one of the parallel sessions, at the same time as several other panels and workshops.